Wireless broadband subscriptions topped half a billion by the end of 2010 in OECD countries, showing the communications sector's critical global economic role. 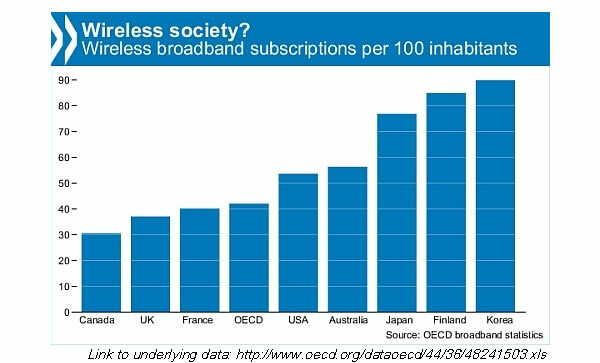 Wireless broadband subscriptions topped the half-a-billion mark by the end of 2010 in OECD countries according to new statistics, further demonstrating the communications sector’s critical role in the global economy. The sector emerged from the financial crisis with resilience and underlying strength with sales in mobile broadband fuelled by the fast-growing popularity of smartphones, tablet PCs and by inexpensive, flat-rate mobile data plans, according to the OECD Communications Outlook 2011. The report also suggests that sector growth is helped by communication services being increasingly perceived as non-discretionary spending items. The OECD say “households looking to cut spending seem to be economising in other areas, at least as a first measure”. Growth of fixed broadband subscriptions had slowed to 6 per cent year-on-year, the lowest rate since the OECD started collecting broadband statistics just over a decade ago, however this is said to reflect the increased penetration and market saturation of the sector in some countries. “The Netherlands and Switzerland lead the table, with 38.1 subscriptions per 100 inhabitants, followed by Denmark (37.7) and Norway (34.6). Fibre subscriptions continue to grow and account for 12.3% of all fixed broadband connections. DSL is still the most widely used technology (57.6%), followed by cable (29.4%). 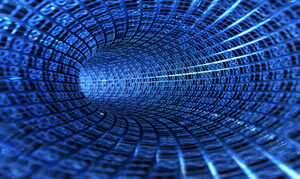 Leading countries in fibre are Japan (58%), Korea (55%), Slovak Republic (29%) and Sweden (26%). “Korea is the leading country for wireless broadband subscriptions, with 89.8 per 100 inhabitants, followed by Finland (84.8), Sweden (82.9) and Norway (79.9). This compares to an OECD average of 41.6 and a total of just under 512 million. The increasing prevalence of bundled services has also played a role in the shift to seing communications as a non-discretionary item, according to the OECD, by “reinforcing customer loyalty and reducing churn, which helped operators during the downturn”. The OECD reported other key factors to the success of the sector include long contract durations of mobile operators and the growing popularity of bundled offers of television, mobile and fixed telephony.